I have to be honest, I don’t have a first aid kit in my home. 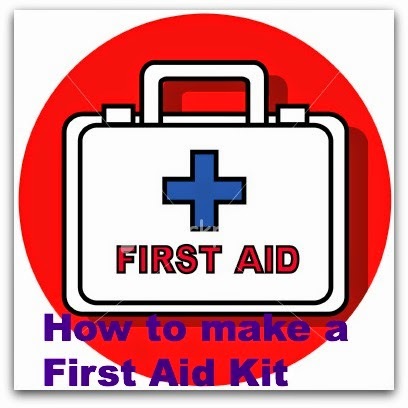 Do you own a first aid kit? I have things all over the house. Band aids in one place, alcohol and peroxide in another. If I really had an emergency, I would be up a creek with out a paddle. With two children in my house, it is time I created a first aid kit. So with that being said, I had to learn what items should be included in the kit. First item needed is a bag or container that you would like to use as your kit. It could be a back pack, plastic bin, etc. The container or bag needs to be big enough to hold all items. 5 - (approximately 1 gram) antibiotic ointment packets. 5 antiseptic wipe packets. Instead of wipes you could include the Neo To Go from Neosporine. Once you have stock piled your first aid kit you will need to check it ever so often to make sure items are not out date. Do you have all the items above in your kit? I only own have 3 items on the list. I have a thermometer, assorted size adhesive bandages and the Neo To Go. Guess I need to really stock up on everything, the next time I go to the store. You should also carry the Neo To Go from Neosporin in your purse or diaper bag with band aids when you are going out and about. You never know when a scrape or cut will happen. I would love to see and hear what is in your first aid kit. Disclaimer: Please note that I received the Neo To Go complimentary from Influenster for testing purposes and I am entering a brand challenge for a chance to win a prize.